Don’t let your night time munches keep you up any longer! With all that we do, we can’t afford to lose any sleep — especially when it comes to our late night cravings. Did you know that a scoop of ice cream before bed may contain sleep-disrupting compounds, like sugar, sucralose, and caffeine, which is known to cause reflux or indigestion while also affecting your night’s rest? 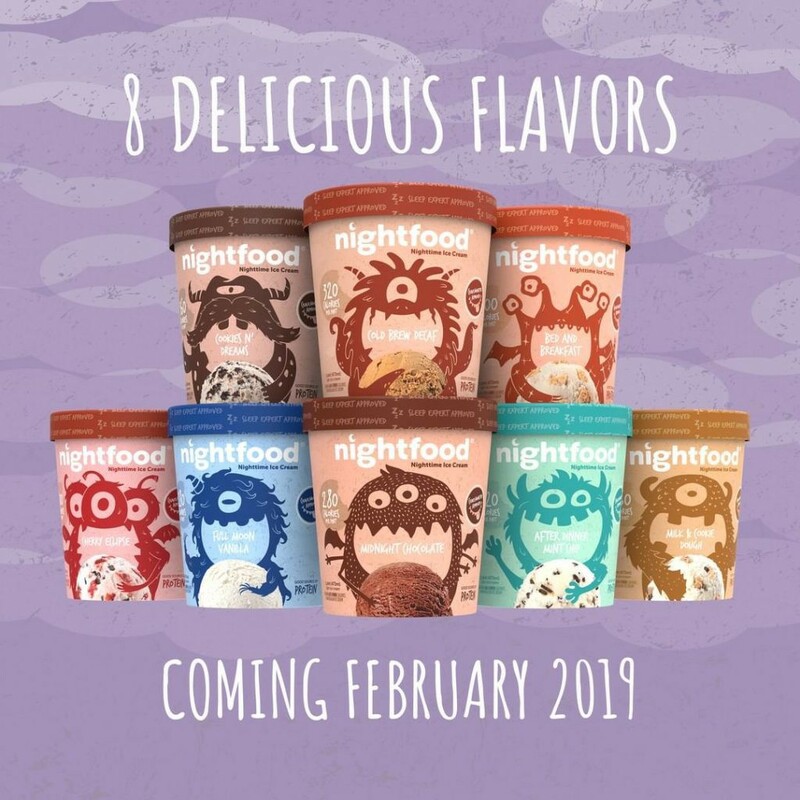 Winner of the 2019 Product of The Year award (in the ice cream category), nightfood, is dishing out a dessert that claims to help improve sleep while staying low in calories and high in protein! The ice cream doesn’t containt melatonin or other sleep compounds, but it does use ingredients like glycine (an amino acid), magnesium, digestive enzymes, protein, fiber, and low sugar. Unlike other brands, these ingredient help improve sleep and decrease insomnia by regulating internal melatonin levels, reducing anxiety symptoms, and stabilizing blood sugar to keep insulin from spiking! You may be able to find this prized possession at your local supermarket sometime soon since the company began rolling out nationally this month. But if not, you can choose from flavors like Cookies N’ Dreams, After Dinner Mint Chip, Full Moon Vanilla and Cherry Eclipse online or via Amazon! If you have trouble sleeping, eating ice cream every night may not be the answer. 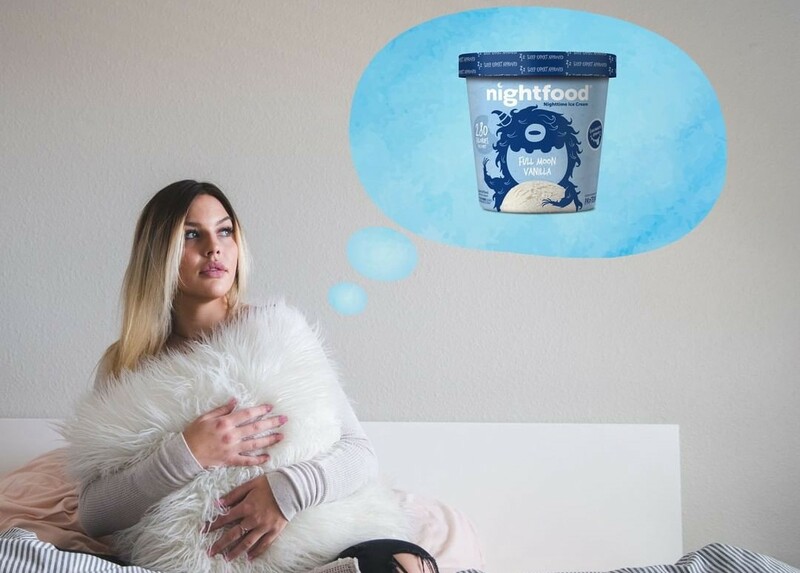 But if that after-dinner scoop of your favorite frozen treat is the thing keeping you up past your ideal bedtime, nightfood may be your new best friend.